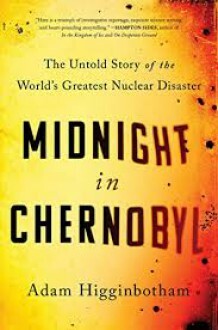 This is the second book on Chernobyl I've read. This one goes into a little more detail on the people involved in the incident in the months and years after the event. It also presents a little more history on the Soviet nuclear industry and the lack of attention to safety that precedes the accident. The author has put together scientific fact and storytelling very well for a very interesting read. She rules your heart, mesmerize you with her beauty and often, maybe always, deserve to be prioritized. Your girlfriend ought to be made to feel extra special, undoubtedly. What’s an amazing way to do so than give her a combo gift? It is believed that selecting gift for girlfriend is hard and we think that this struggle is worth it since the more we care for someone, the more though we try to put in choosing a perfect gift for them. However, if you are completely messed up while thinking about what to gift your sweetheart, then take the assistance of online gift stores. Indiagift is one of the best online platforms that offers impressive goodies. Buy gift combos for girlfriend if you want to give her something out of the box. Basically, combos are available in distinct forms. 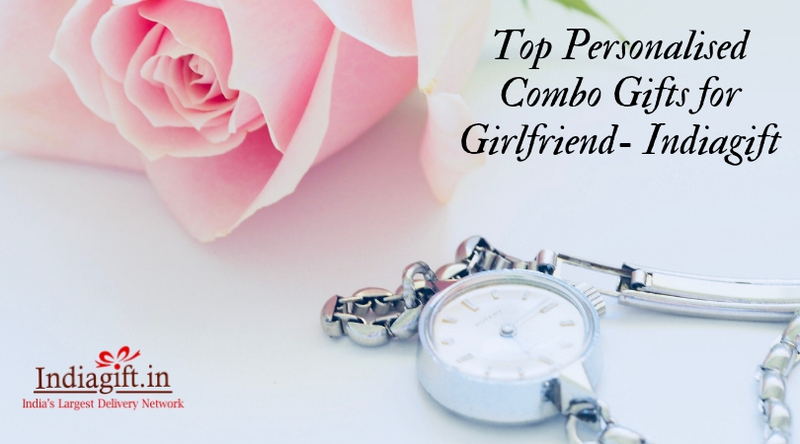 Here we have compiled a list of personalized gift combos for girlfriend to provide you ease while purchasing. The combination of photo cake with an alphabet shaped flower arrangements makes an amazing combo gift that she will cherish forever! Get her favorite flavor embellished with her an adorable photograph and pair it with flowers that are arranged with the first alphabet of her name. This combination is indeed steal her heart. Choose cake and flowers midnight delivery to get this fantastic combination delivered at her doorstep right at 12 O’clock. Whether it’s her birthday or it’s Valentine’s Day, don’t skip any opportunity to make her feel that she is the best thing that happens to you. Present a personalised greeting card with a photo frame to make her feel at cloud nine. They together make the best gift combos online. Just imagine how much happy she will be when she will read your heartfelt message over the greeting card! It would be a priceless moment for her. If you want that your girlfriend misses you desperately in the morning and at night, then the combination of the personalized pillow with the mug is a great option. She will feel your presence in the morning during tea time because she will be having a mug gifted by you. Similarly, she will feel your essence when she went for sleep at night. Your gift should be powerful enough to force her fell in love with you once again. And, the combo of photo key chain with the ring somehow helps you a lot in this matter. So, this time present her something that she has never even imagined! Buy and send an amazing combination of photo key chain along with a ring from Indiagift. Make her feel extremely special by presenting a personalised t-shirt with tempting chocolate. Engrave her gorgeous photo over the t-shirt or her favorite dialogue over the t-shirt. Accompany it with chocolates and send it from Indiagift. This gift damn makes her day extraordinary. Your heart is strange, and many times you are not able to figure it out completely, and you wind up nothing with a regular gift. In such scenarios, take the assistance of personalised combo gifts. A photo lamp together with a personalized love puzzle makes a great gifting option for her special day. Buy this flawless combo from Indiagift and get it shipped at her doorstep today! Above-listed gifts are just amazing and they are different from regular gifts. Hence, you can go ahead with any of them to put a big smile on your girlfriend’s face. You can also choose online flower combo delivery in order to express your emotions quickly to your sweetheart. 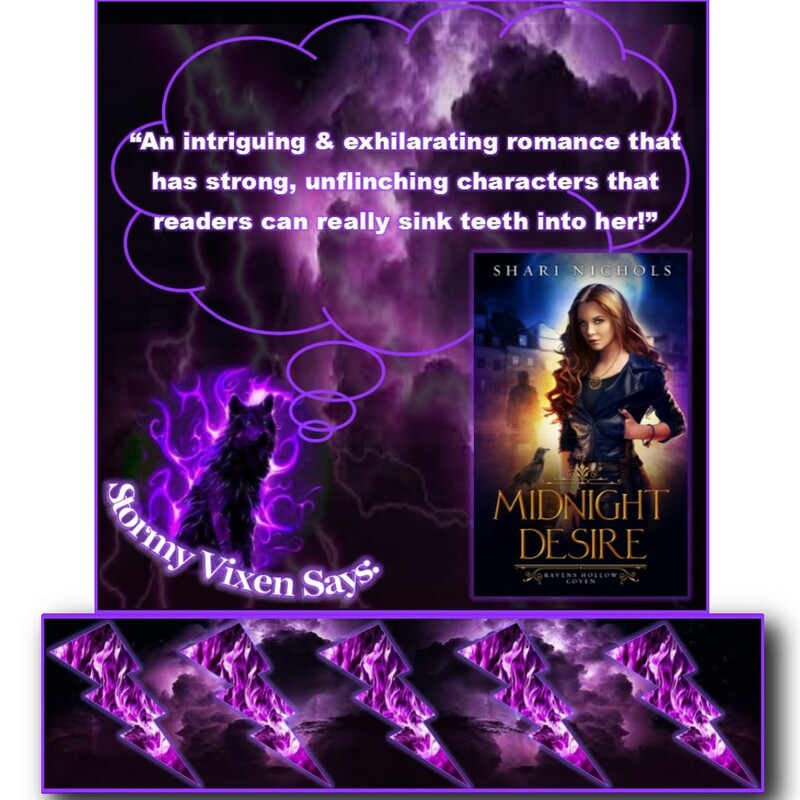 Willow McCray is a witch who dispenses her own brand of justice swiftly and without mercy. Alex Denopoulos is an agent with the Magickal Bureau of Investigations and he will stop at nothing to catch a killer including recruiting the notorious witch. The lines between duty and passion become blurred and he’ll risk more than his badge to keep her alive. In order to give Alex what he wants, Willow will have to vanquish the evil before she loses her heart and even her soul. This romance kick starts an intriguing and thrilling new series with strong, unflinching characters that easily draw readers to them. The hero and heroine are opposites of each other in a way as Willow doesn’t exactly follow the letter of the law and Alex is all about putting the bad guys away but in truth they are more alike than they would like to admit as they both do whatever it takes to get the job done. 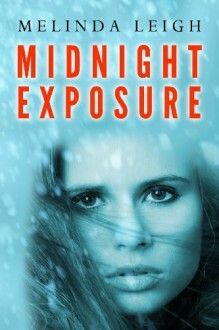 The chemistry between sizzles with lots of heat and has sparks flying in every direction as they struggle to fight their attraction while searching for a killer and they both some personal issues to overcome if they want to live to see any kind of happily ever after which makes these characters more lifelike and real to readers. The fast pace and smooth flowing plot exhilarates readers with lots of hold your breath danger and thrilling twists and turns that keeps readers on their toes. The evil bad guy is also a strong character, one that sends chills down the readers’ spine and has them wanting to help Alex and Willow subdue or definitely see that he gets what he deserves. The author has created a world with an intriguing paranormal law enforcement agency is open to all sorts of possibilities as well as fascinating characters that readers can really sink their teeth into. I guess I'm not having much luck with romantic suspense this week. I DNFed the last one and this one... well, it was just alright. Nothing exciting really. Definitely not enough to make me overlook the things that bugged me. And what were those things? Well, for one, I was getting a whiff of the misogyny that so turned me off the previous book. While the hero, Reed, did his best to be respectful and look for consent etcetera, his inner thoughts were just a tad too leery for me to be totally comfortable. When it's the bad guy, it doesn't bother me, but in the hero? Nope. Then there was the instalove. I didn't buy it. There was also a scene set in a Wiccan shop that was run by a woman who the author described as 60-ish. You would have thought this woman was a doddering old fool, just because of her age. I'm here to tell you, (at 62), that we are nowhere near as ready for the home as this woman was depicted. And maybe I could have glossed over it, but the heroine came across as rather judgmental and mean in her thoughts about the woman. It was a small thing, but it really irritated me. And then we came to the end. I like my thrillers to come to a conclusion. This did not. All of a sudden, the people in danger were rescued, the bad guy got away, the MCs declared their love for each other and decided to move away. Oh yeah, the bad guy got away. It was totally unsatisfying. I went online and discovered that book two in the series concerns the brother of the heroine taking up the chase for the bad guy. I have it in my TBR, but honestly? I'm not that anxious to read it. "You come to me." His mouth lowered, but he didn't quite kiss her. "To forget. To not hurt any more—" She bit her lip. "To hurt all my life." "I won't hurt you," he whispered. She closed her eyes. "You tear me apart." "Leigh," he said, "I love you." The intensity in his voice made her turn her face away. "Leave me alone," she said. Gawd, the emotion in this one. 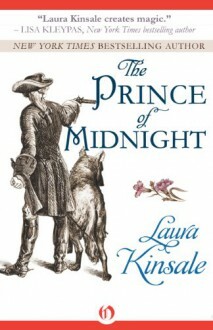 Quickly, Leigh travels from England to France looking for "The Prince of Midnight" a highwayman that the people of her town looked upon as Robin Hood. 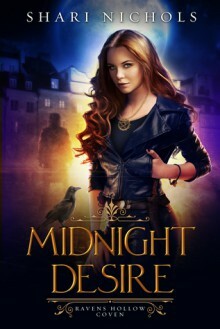 Her town has been taken over by a cult leader and she thinks the Prince of Midnight will be the legend that can break the townspeople's blind following of Rev. Jamie Chilton, she also wants the Prince to teach her how to fight so she can kill Chilton. When she finds the Prince, he turns out to be S.T. Maitland, deaf in one ear and experiencing serious balance problems because of it. He's a forced into retirement highwayman living in an abandoned castle with a pet wolf. S.T. rubbed the wolf's ears and smiled to himself. He'd charmed wilder things than a dour girl, after all. To say the least, Leigh is crushed, her savior can't even ride a horse. In what is a bit of a role reversal from what we usually see in our heroines and heroes, Leigh is the cold, shun love, and blindly bent on revenge while S.T. is the romantic, heart just wanting to burst with love, more sensitive one. S.T. was a little uneven in the beginning for me because his love and trust in a woman is what led to the end of his highwayman career but he is pretty instantly all-in on his want of Leigh. What saved this insta for me was the author underlying acknowledging that it was insta. It is mentioned how S.T. hasn't had a woman in 3yrs, insta-lust of Leigh, and as the story goes on, you see how love and human contact is necessary for S.T. 's personality but as S.T. and Leigh travel and spend more time together, we begin to see S.T. actually get to know her, which I need to believe in couple's love. It's a bit, well, S.T. got lucky in his love at first sight but I can't help it, I really enjoyed his yearning and putting himself out there for Leigh, while, with insight from personal thoughts from Leigh, the reader could see and feel how hard Leigh was fighting her feelings. "He murdered my family. My mother, my father, and my two sisters." There wasn't a tremor in her voice, not a trace of emotion at all. S.T. gazed at her cool moon-washed face. She stared back at him, unblinking. "Sunshine," he whispered. "No." She shook her head, watching the ground ahead of her. "Not cowards. Frightened." He considered that. It was a telling point, a subtle, crucial difference. Miss Leigh Strachan was no fool. "Of what are they frightened?" "Of what happened to my sisters," she said. "They have daughters, too." "Wasn't a tremor", "not a trace of emotion", ugh, I could barely take Leigh's pain. There is definitely a solid background and foundation behind Leigh's tough exterior and her telling the story of what happened to her family, while trying not to breakdown, had me breaking down a bit. The author wonderfully conveyed how hard Leigh had to keep herself together, another brick in the character's personality wall, because if she didn't, she would shatter. The events that lead up to and the scene where Leigh finally does breakdown was heartbreaking. I thought it was masterful how the author used S.T. 's working and relationship with animals to mirror what was happening with Leigh. "I don't want your rotting gratitude," he said. She lay perfectly still, a mirage of the impersonal moonlight, as lifeless as the ruins. He couldn't even feel her breathing. "Then I'm sorry." She spoke suddenly. "Because that's all I have to give." Forbidden worlds. Wild joy and romance. A midnight ride with an outlaw prince, and life, and life, and life. He burned with it. And she would have gone. Her throat grew thick with longing. She thought: you should have come sooner. You should have come when I could feel. Leigh worked to get S.T. pardoned for his highwayman crimes and how she missed him in London, showing her longing for him and how she was nervous to proclaim her love for him, I think readers would have softened to her more. It was kind of glossed over at the end and I think some missed feeling how she was ready to open herself up to him finally. As it was, it kind of felt like S.T. constantly beat himself against Leigh's wall and Leigh never repaid or responded in like to prostrate herself like he did. She closed her eyes. When she opened them, the horse was still there. The Seigneur was still there. She was still hurting, still alive, still drowning in love and grief and rage. She'd gone to France to find the Seigneur with no family and no future and no fear, with a well-spring of hate in her heart. But now she was afraid. Now she was cornered and desperate. Now she had something to lose. The plot involving the cult leader was interesting but towards the end when the author tied it into The Hellfire Club, it got a bit loose and didn't completely work for me; felt like forced danger added in. This had quite the epilogue, lol, but I enjoyed seeing these two happy together. Overall, this was a painfully emotional read at times and I enjoyed these two together, their pain, their yearning, and their connection, there is no doubt that these two fought for their HEA. There was a lot of layers to the story and I would suggest reading this a little slower to let it soak in. I wanted a little more from Leigh, S.T. was so earnest in trying to connect with her that I would have loved seeing her put herself out there too, but maybe the argument could be made that just isn't her personality. Anyway, read this for S.T. 's loving soul, Leigh's tightly contained heartache, and Nemo.